According to traffic studies, U.S. Highway 129 in Alcoa carries more traffic at 35,653 vehicles daily than any other noninterstate roadway in the state of Tennessee. The highway also divides the city and is difficult for pedestrians to cross safely. 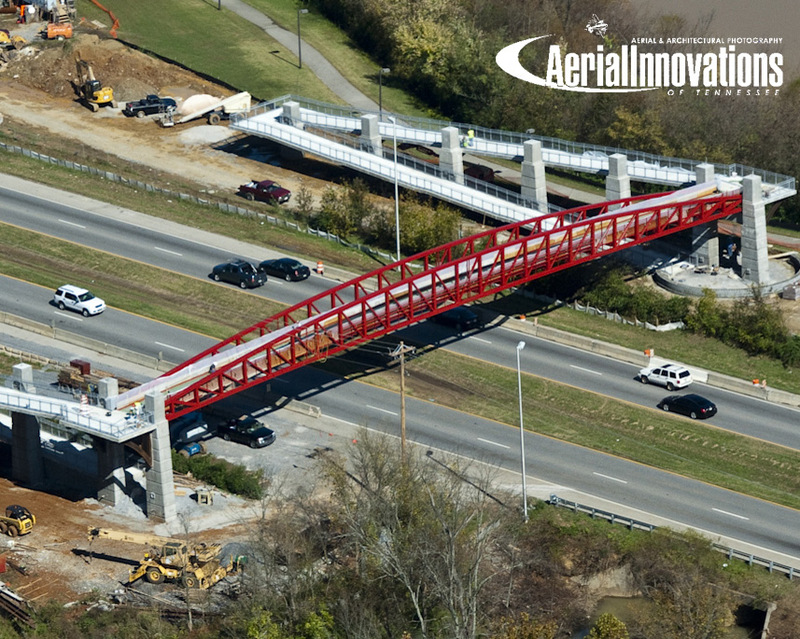 To allow pedestrians a safe crossing, an overpass structure was needed to connect the Alcoa Greenway to a 1.5-mile greenway extension to be built on the other side of the highway, through nearby subdivisions. A 10’ x 226’ Continental® truss bridge with red steel coating was chosen for the solution because of its competitive pricing. The bridge was fabricated at the plant and then delivered to the site in four sections. The sections were then bolted together with one section on either side of the highway. Two large cranes lifted the halves onto the concrete abutments on either side of the highway and then they were bolted together in the middle. Finally, concrete was poured to serve as the decking on the bridge. The bridge was originally scheduled for installation more than five years ago, but when Hurricane Katrina hit in 2005, it caused the price of construction materials to skyrocket and the grant originally secured by the City of Alcoa was no longer enough to cover the cost of the pedestrian overpass. The project resumed when the bridge was funded by the Federal American Recovery and Reinvestment Act of 2009.